There’s been a lot of chatter recently in the media world about ad blocking. While consumers may be rejoicing over the increasing opportunity to ad block, publishers are panicking about the imminent devastation to traditional online ad revenue models. 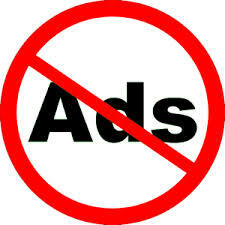 In many cases, both sides agree that a solution is needed to eliminate obnoxious banner ads. But the question remains how publishers will make up for lost revenue in the face of an already-declining banner ad business. Ad blocking has been alive and well on desktop for some time. However, the introduction of Apple’s iOS 9 reignited the debate, as one of the new features will allow users to block ads on Safari. Besides offering a better user experience on the mobile web, the feature will also allow users save on data costs since it will block things like auto-play video. Promoted and sponsored posts across social networks provide a much better alternative to banner ads for both marketers and consumers. The skyrocket of Facebook’s mobile ad revenue demonstrates that its ad units simply provide better ROI. People are more likely to click on content that’s integrated into their News Feed and seamlessly part of their experience. Publishers may be able to get a piece of the social ad revenue pie through Facebook’s Instant Articles. Snapchat, Twitter, Google and Apple are all jumping onboard the train with a model that shares—or hands over, completely—revenue with publishers in exchange for content. This model is not without its negatives and concerns, as it gives more power to the giant tech companies and is considered by some to be “selling out.” And yet, I would argue this type of “selling out” is better than “going out”– of business, that is. Ultimately good content will drive revenue for publishers, whether through syndication, partnerships, subscriptions, or entirely custom experiences. Ad blocking will force content creators to be more thoughtful and more creative. There’s no doubt it’s a challenging and disrupted space, but publishers need to adjust to how the Internet is changing. Banner ads haven’t worked for a longtime, and the latest in ad blocking is confirmation that it’s time to move on.